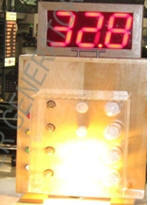 Dual power meter display - each one shows how many Watts each bulb is consuming. 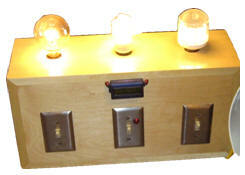 4-WAY CFL Interactive Light Bulb Educational Interactive Display Box with Built in Watt Meters. 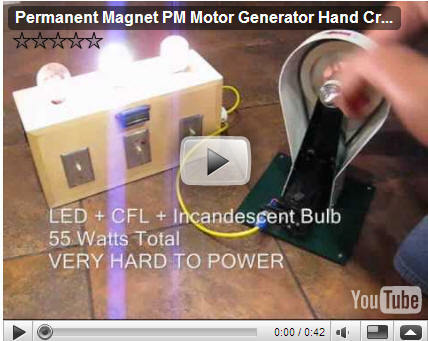 This 12-Way interactive pedal power light display is used at professional baseball events to educate the public on how CFL and LED light bulbs are much more efficient to operate than incandescent bulbs. 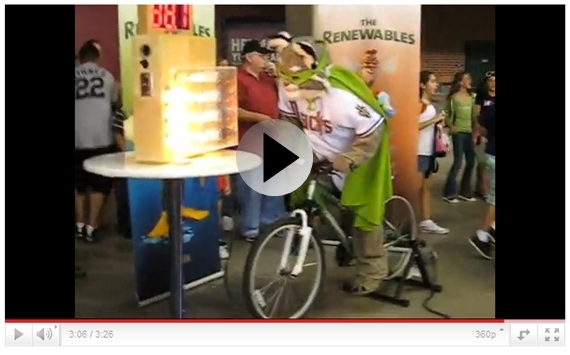 Make pedal power bicycle generators part of your event, show, or promotional effort.